Click on the cover photo to buy the book! Thank you…. Imagine going back in time and befriending The Beatles at the height of their fame. Imagine seeing “the boys” interact onstage and off, hanging out with them in the dance clubs of London, visiting John & Paul at Paul’s house across from Abbey Road Studios. That last question sets 17-year-old Lenny Funk off on the adventure of his young life with a goal that seems impossible – to stop John Lennon’s assassin, Mark David Chapman! Lenny Funk is able to time travel thanks in part to his grandfather’s old iPod Nano which is loaded with classic music from the ‘60s and ‘70s. Together with new friend Yoko (yes, she’s named after that Yoko), Lenny “time slips” backwards to a world he thought he’d missed where he meets some of his musical heroes, including the Beatles, Jim Morrison and James Taylor, among others. Lenny must make some difficult and heart-breaking decisions. Should he change the course of history or not? And what are the consequences if he does? 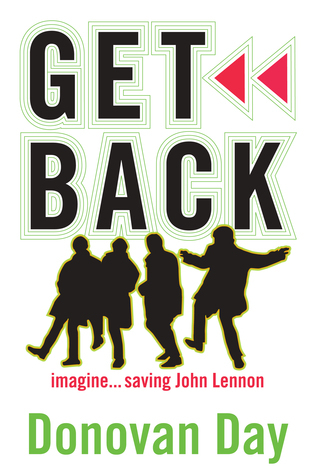 Would John reunite with Paul? Would he remain married to Yoko and, if not, who would be his next wife? The year 2015 marks what would have been John Lennon’s 75th birthday and also the 35th year since his murder.